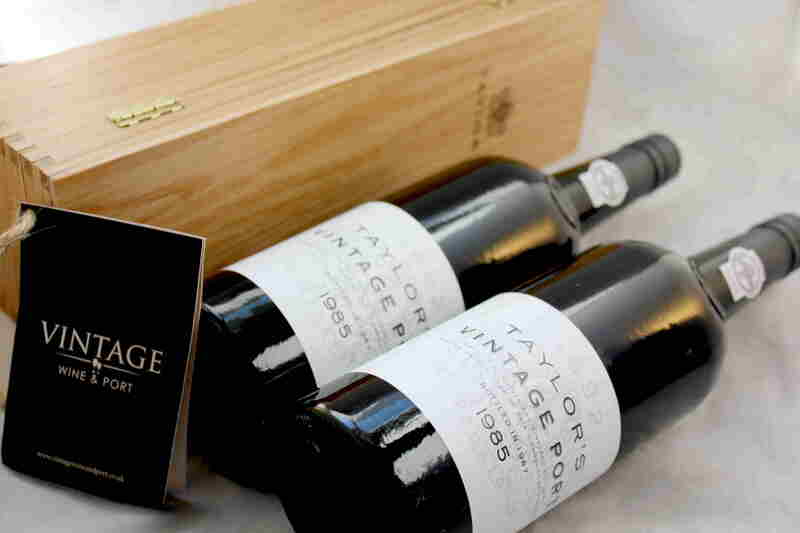 The 1985 is a great classic Port Vintage, with concentrated, rich and potent wines. The year was a general declaration of vintage, the majority of Houses judging it to be up to their high standards. 1985 was a model year for the growth of the vines: a wet winter followed by a moderate spring led into an extremely warm June and a hot July and August. The harvest took place under perfect weather conditions, and the fermentations went well also. From the very start shippers were predicting outstanding wines. The resulting ports are characterised as being forward with enormous structure, and staggering depth, dimension, and length. They are at the peak of their maturity and will remain so for another 10-15 years. 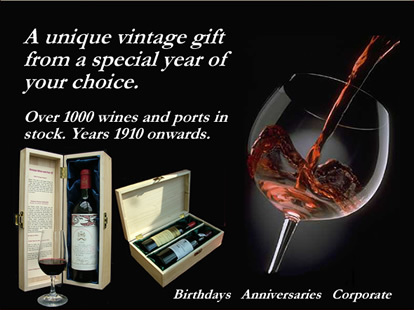 A Port from 1985 would make an excellent 34 year old wine gift for a birthday or anniversary. 1985 was an outstanding vintage for Italian wines, one of the best in the last 50 years for Piedmont and Tuscany. The vintage produced wines of great consistency, and the best wines should be great. The 1985 wine vintage produced examples that are characterised by being well developed, rich and having a seductive complexity with an attractive perfume. A drought for much of August and September led to concentrated grapes at harvest. The wines have now generally gone through the peak of their maturity and should be drunk within the next few years. Medium ruby/garnet-colored, with a sweet, earthy, berry, spicy, somewhat herbaceous nose, this medium-bodied wine is pleasant, but lacks depth and fat. "A fully mature Cos at its prime; delicious to drink with seamless texture and velvety tannins. The 1985 Latour is a soft, open-knit wine. The dark ruby colour displays amber at the edge. The bouquet is of tobacco, black fruits, herbs, earth, and new oak. The Nebbiolo has a lovely earthy bouquet. The nose has cherries, dark cherries, tar and slight dried rose notes. Complex and layered. Nice acidity. Medium tannins still present. The Nebbiolo d'Alba has a lovely earthy bouquet. The nose has cherries, dark cherries, tar and slight dried rose notes. Complex and layered. Nice acidity. "Recioto," as in "Recioto della Valpolicella," refers to a dessert wine made from grapes that were dried on mats after picking. This process turns the grapes closer to raisins, concentrating the flavors.